The residence at 193 George Street is a two storey residence built by William Ireland for the Benjamin family to the design of Charles Webb in 1864. The facade is asymmetrical, with a portico entrance, bayed ground level windows and a bayed verandah. The parapet is balustraded, using a guilloche pattern, in cement. The balustrade piers are panelled and a cornice-mould, with dentillation, runs underneath. It is likely that each pier had a cement orb, as per porch. The major window, at first level, is a group of three, echoing the bayed window at ground level. This window is balustraded at sill level, matching the balustrading to the porch parapet; the top rail being taken around the building front as a string moulding. The window has a projecting, bayed hood, with a keyhole fretted timber valance. The verandah roof is finished at the perimeter with a scrolled iron frieze between timber rails, and carved timber brackets. 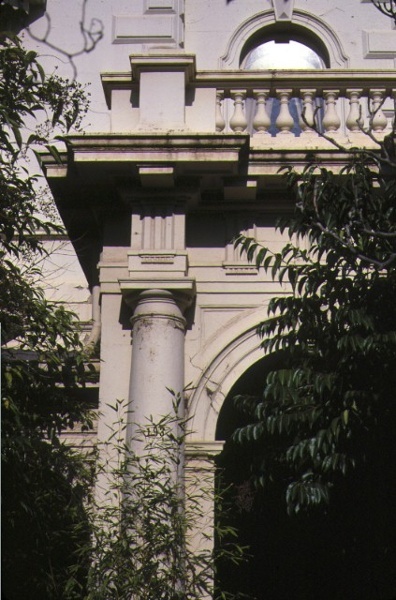 The porch has a dentillated cornice with a Doric entablature and attached Doric columns. The entrance door is arched, matching the porch opening with architrave and keystone. The fanlight has radiating glazing bars to the border glazing, and a secondary fanlight, inside a timber arch. 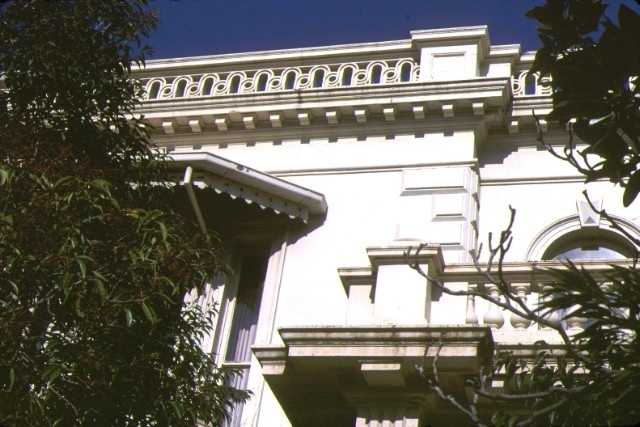 The residence at 193 George Street is of architectural and social significance to the State of Victoria. 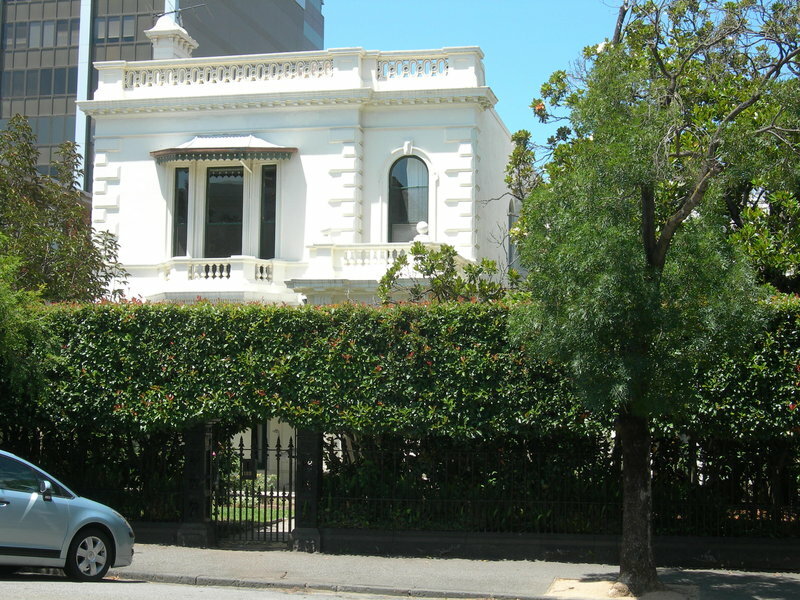 The residence at 193 George Street is architecturally significant as a fine example of the residential work of noted architect Charles Webb, the designer of many significant Victorian buildings including the Windsor Hotel, Melbourne Grammar School, Burlington Terrace and the Royal Arcade. 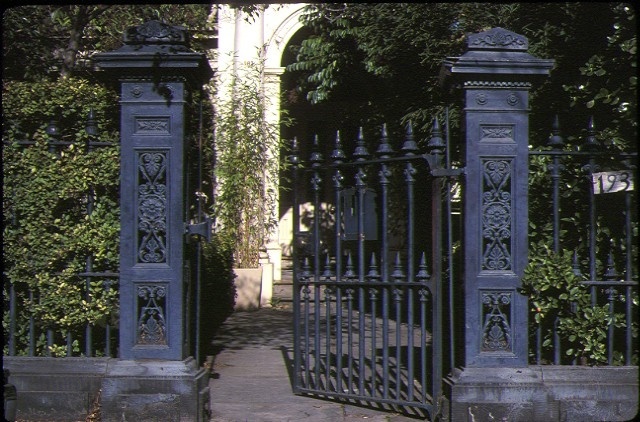 The house does not possess a symmetrical facade composition as was so common at the time, but rather a skilful asymmetrical disposition of elements and details to achieve a homogeneous and balanced design. The residence at 193 George Street is socially significant for its association with the Benjamin family. The Benjamins were an early Jewish migrant family who played a significant role in establishing and organising the Melbourne Jewish community. 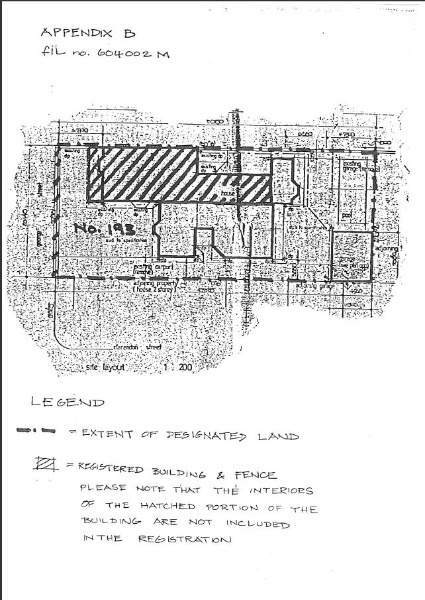 They were prominent in civic, philanthropic and financial affairs and were one of the largest buyers of the original Crown allotments in East Melbourne. Historic Building No. 565, 193 George Street, East Melbourne. The whole of the building excluding the interiors and recent additions as shown on the attached plan, the front fence and the whole of Title Volume 6961, Folio 158). The allotment was sold at Crown Land Sales in 1853 to Moses Benjamin. The Benjamins were an early Jewish migrant family to Victoria, and one of the more affluent. 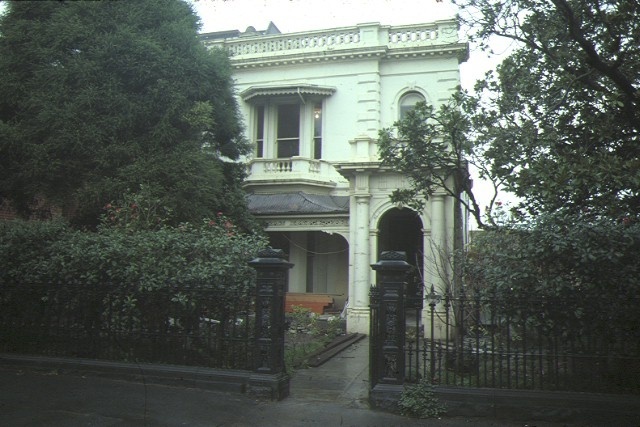 They played a significant role in establishing and organising the Melbourne Jewish community, were prominent in civic, philanthropic and financial affairs, and were the largest original buyers of East Melbourne Crown Allotments.A distinguished resident was Sir William Mitchell, who while president of the Victorian Legislative Council lived here in the early 1880s until his death in 1884.